I'm thrilled to share that I've been invited to speak at this event, hosted on March 8th by 'Lives Not Knives' empowering young women. I'll be one of 4 speakers on the night!! 2018, marks 100 years since women in the UK won the right to vote, a victory that took 86 years from the start of the campaign and although an amazing accomplishment for all women, there was still discrimination against the type of women who could vote. 2018’s International Women’s Day theme is #Pressforprogress, which couldn’t be more fitting, in today’s society where inequality & discrimination towards women is still taking place, worldwide. 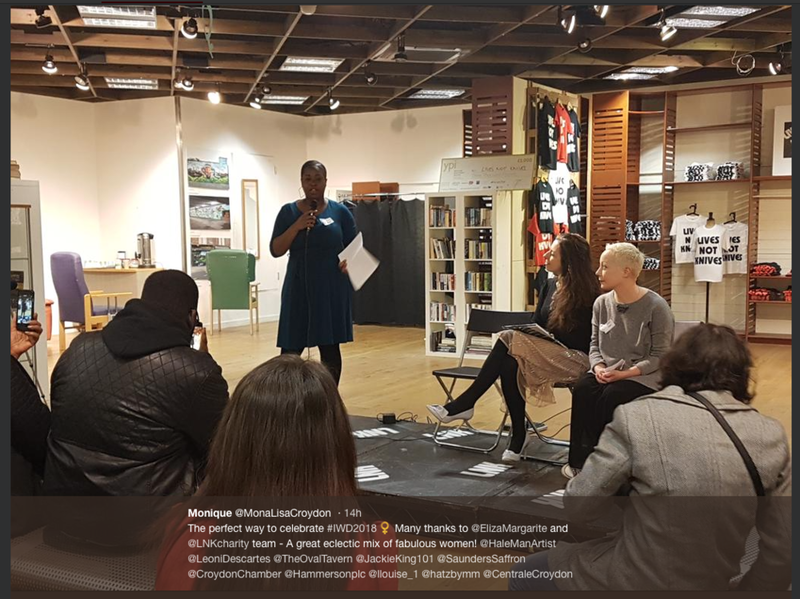 It will be held between 5:30 and 7:30 on Thursday 8th March at the LNK unit in Centrale Shopping Centre in Croydon Town Centre and will include guest speakers, entertainment, sparkling wine & cakes and the chance to network with and meet other inspirational women. Lives Not Knives would like to invite you to join us, at an evening, celebrating women and their many achievements. Tickets to the event can be obtained from EventBrite or names emailed directly to karen@livesnotknives.org.